Dear Daniela: How Can I Make My Nails Strong & My Cuticles Less Scruffy? Whatever I do, my cuticles are always ragged and untidy. A manicurist once asked if it was my first manicure because they're so bad. (It wasn't.) My nails also flake easily. How can I improve the condition of my nails and cuticles? Norse mythology makes mention of a ship, Naglfar, that ferries brave warriors to do battle with the gods. What makes Naglfar so distinctive and so terrifying is that it’s made entirely out of fingernails, which from a practical standpoint is a terrible idea when you consider that nails are 10 times more porous than your skin. That thing wouldn’t have made it out of the dock, honestly! Flaky, brittle nails usually go alongside generally dry skin – unless you’re a secret nibbler, which is another column in itself. Kerrie, an elite nail technician at Blow LTD told me that some people are "born with weaker nails than others, just like some of us are born with green eyes or curly hair." You might have drawn a genetic short straw there Hailey, but all is not lost. Let’s troubleshoot. First of all, are you abusing your poor hands? "Flakiness is often down to weak nails being further weakened by your day-to-day life," added Kerrie. "There are a number of things that will damage your nails. Washing up without gloves will definitely dry out the hands and nails. Peeling off your polish or shellac is also extremely damaging to the natural nail. That said, you also need to fight the urge to pick or bite acrylic nails, too, as it removes the top layer of the natural nail. If you keep doing it, your nail will become weak and thin as there's less for the false one to adhere to – it becomes a bit of a vicious cycle." Taking super hot baths and really letting your hands soak in there might feel delicious, but it won’t help the state of your nails. I’d go so far as to say that you should try applying hand cream after every time you wash your hands – I love Medik8 Hand & Nail Cream, £25, which has SPF25, but Slixir, £21.95, is seriously good, too – and designed for those with ultra weak nails. Next, cuticles. Keeping your nail beds pristine can make all the difference between your hands looking utterly manicured and totally chewed-out, so heed Kerrie’s advice: "Use cuticle oil twice a day, morning and night, and take the time to really massage it in – hand cream, too. It’ll help to protect, replenish and strengthen." 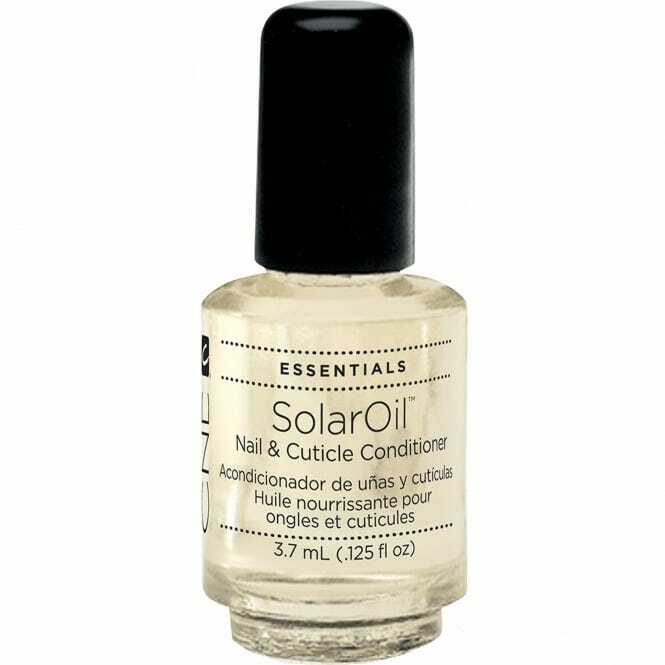 My favourite is CND SolarOil, £2.95, and Kerrie noted that OPI ProSpa Protective Hand Cream, £12, would be her go-to for damaged cuticles and nails. As for what to ask for in the salon, Kerrie said you don’t have to give up on gel altogether. "Shellac or gel polish is fine to have on brittle nails as long as you use a cuticle oil to nourish the natural nail on a daily basis to prevent it from drying out even more," she explained. "In between appointments, I always suggest to revive nails with OPI Gel Break Professional. It’s enriched with reparative vitamins and minerals to help restore nail health, and adds a lovely glossy sheen to the nail." If you’re not willing to commit to gel, Kerrie suggested keeping things simple. "Flaky nails are better kept short, regularly manicured and treated with oil and keratin-boosting products to help to prevent the flaking. Bear in mind it will take around two to three months of good maintenance to see results." There are some supplements on the market you might want to try, too. On the whole, you’re looking for biotin, zinc and iron, which usually come as part of a combined hair, skin and nails supplement like Perfectil or Lumity. Biotin can make some people (myself included) feel a little queasy in large doses, though, so try taking it with food and see how you go. Got a question for our resident beauty columnist Daniela Morosini? No problem, qualm or dilemma is too big, small or niche. Email deardaniela@refinery29.uk, including your name and age for a chance to have your question answered. All letters to ‘Dear Daniela’ become the property of Refinery29 and will be edited for length, clarity, and grammatical correctness.